Momo’s is a beautiful and inspiring brand focused on delivering high quality unique gifts in the baby and parenting sector. Their brand is, in essence, their product design itself. Therefore, we worked with Momo’s to create a holistic brand based on the exquisitely bespoke nature of one product design. We fed this inspiration in to marketing materials, packaging and stationery. 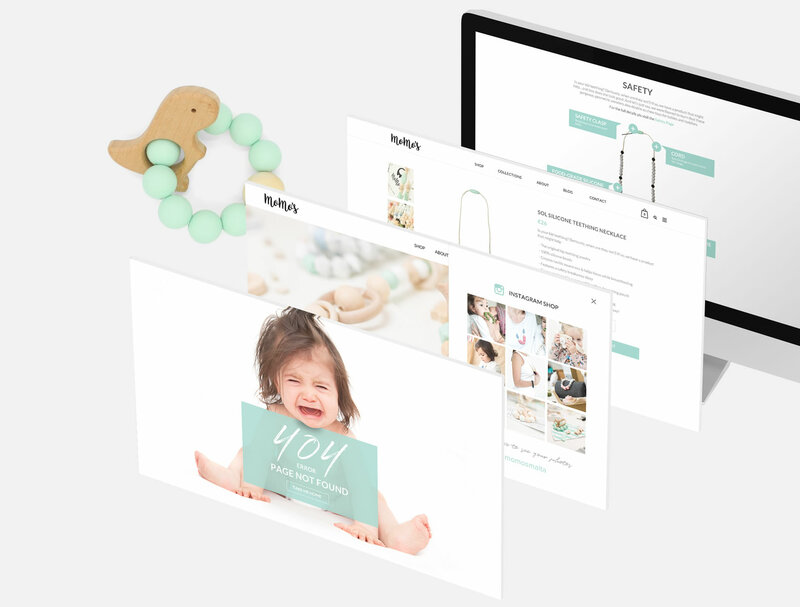 Alongside this, we created a stunning ecommerce website to serve as a worthy platform for their personalised baby teethers and jewellery, as well as customised options. As products are created in an exclusive way, we also ensured that we incorporated a ‘subscribe and notify’ function to alert brand loyalists when items are back in stock.